Julio Yepez.- HOMBRE PACIFICO Y SOLIDARIO DEDICADO A TRABAJAR Y ESTUDIAR RECTOR DE LA UNIDAD EDUCATIVA YAHUARCOCHA, Y VICERRECTOR DEL INSTITUTO TECNOLOGICO SUPERIOR IBARRA. 21 AÑOS DE EXPERIENCIA DOCENTE EN EDUCACION MEDIA Y SUPERIOR. 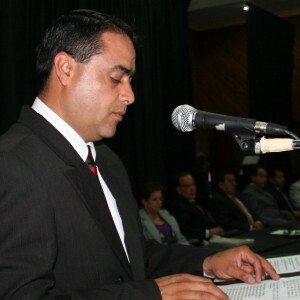 PROFESION INGENIERO DE SISTEMAS CON TITULO DE LICENCIADO EN PEDAGOGIA GENERAL Y MAESTRIA EN GERENCIA INFORMATICA. TODO LO QUE SE PROPONE LO LOGRA SU META ES TRABAJAR POR LA GENTE QUE MAS NECESITA Y HACER SURGIR NUEVAS CABEZAS CON ESPIRITU DE CONTRUIR UN MUNDO FELIZ.